Here comes the useful DIY Tools Kit - GeekVape V2 E-cig DIY Mini Tool Kit. It includes 7 kinds of DIY tools with high quality materials. Get them as spare parts to enjoy easy atomizer DIY! 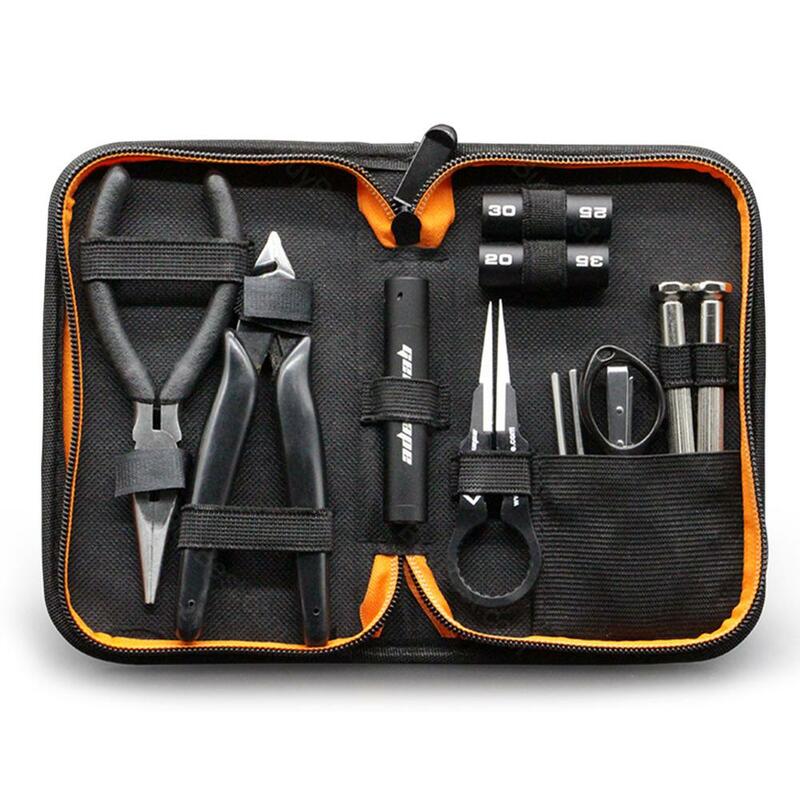 The all-new GeekVape Mini Tool Kit consists of 7 kinds of DIY tools: diagonal pliers, needle nose pliers, folding scissors, phillips screwdriver, flathead screwdriver, ceramic tweezer and Geekvape coiling kit. The GeekVape Mini Tool comes with the most functional tools in a compact case and can meet all your DIY needs! Useful and convenient! Just get one and enjoy! The GeekVape DIY Mini Tool Kit helps me a lot for easy build. I really love this GeekVape DIY Mini Tool Kit. It will be a wise choice if you puchase here. This is a nice tool kit for the price and it has pretty much everything you need to build. The tool kit is good. Good quality and a real good price! All are of good quality and the case is very nice. Everything that's included in the kit is definitely worth the money, even if you only need a couple of the items included in the kit.